Dez is finally hitting her afterlife stride. She hasn't missed a meeting or session in 42 days, and she's put the adventures and danger of her first days at Atman behind her. Life after death is becoming tolerable, yet nothing is quite what she'd hoped. Confusion over her feelings for Charlie, residual resentment over losing Hannah, and a continuous stream of unwanted assignments leave Dez restless and argumentative. In a missed encounter with Crosby, her prying gaze lands upon a single entry in the datebook on his unoccupied desk. These few, hastily scribbled words reveal an enormous secret he's keeping from her. 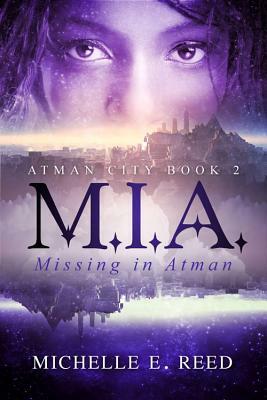 Possessed by a painful sense of betrayal, she once again sneaks off to Atman City, determined to find answers to an unresolved piece of her life. It begins as all their adventures do, but as light falls into darkness, a stop in an unfamiliar neighborhood sets forth a chaotic series of events. Dez will have to fight for her very existence, and will face painful, irreparable loss in an afterlife teeming with demons wielding ancient powers. Michelle E. Reed is a passionate writer and adoption advocate. She is the author of "Life, A.D." Shelives in Menomonie, Wisconsin."